The rise in Fed rates DOES NOT equate a rise in mortgage interest rates. Historically, this actually means rates will drop. He expects a flat or downward trend over the next few months. Today’s extremely low rates are proof he is correct! Another misconception is that interests rates drive the housing market. Not true. Interest rates affect affordability, the job market affects the housing market. Here in the Austin area, we are at an extremely low unemployment rate of 2.9% – which is much lower than the national average. The job growth continues to rise in Austin, giving no signs that the housing market will take a down turn. You can expect that if the jobs keep coming along with our population increase, the housing market will continue to stay strong. 5% Jumbo loans are back! Don’t worry, this doesn’t mean we’re headed for another stated-income crisis — Dodd-Frank will keep that from happening. Fannie Mae has been loosening their restrictions. For instance, they no longer require that you have 30% equity to convert a primary residence into an investment. Also, investor-concentration in a condo complex will no longer be a barrier for most situations. Another huge change: they have also reduced the 2-year self-employment history requirement to 1-year (good credit required, of course). These all show Fannie Mae’s confidence in the market. Even Freddie Mac is getting more investor-friendly. Based on Austin’s population growth, we have a housing shortage. Again, our statistics are lower than the national average, so when you hear housing bubble, know they are talking about other areas of the US, not Austin! Landowners, from whom builders buy land to create subdivisions, are wise to the value in their land, thus making it more expensive (less desirable) for builders to build. This means, new home prices will increase (think, $400s-$500s, no more low entry points) and it means there will be less communities popping up. The higher prices will mean this will be a sector you can see oversupply in – opposite of the shortage you see in strictly resale communities. Austin is seeing wage inflation, whereas other parts of the US are not. This means, people who are earning at least in the average income bracket will be able to keep up with the rise of the average house prices — they aren’t being out-priced, even with the housing shortage we have. All in all, the housing market is looking very solid here in Austin. 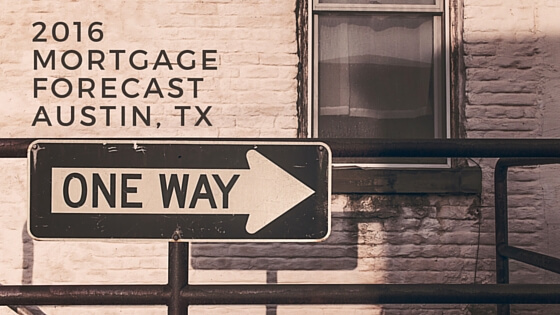 With no indication of rising interest rates, our strong job market, and the government’s loosening on mortgage restrictions, the market is going to continue strong and you can ignore any rumors of an over-inflated market here in Austin! We SOLD 1015 E 45th St, Austin, TX 78751! We SOLD 7803 Woodrow Ave, Austin, TX 78757! We Just Listed 11801 Woodland Hills Trail, Austin TX 78732! We Just Listed 3705 Pappys Way, Austin TX 78730! We Just Listed 17800 Edgewood Way #202, Jonestown TX 78645! We Just Listed 13320 Coleto Creek Trl, Austin TX 78732!